A short while ago I was lucky enough to win the challenge at CAS on Sunday! Following this I was asked to be their Guest Designer for the challenge this week which has the theme of WATER! I made this card to send to a friend undergoing chemo and radiotherapy. The results have been very painful for her and so this card was to try to cheer! It's a Paper Smooches image with an added splat stamp which I thought looked rather like a wave! 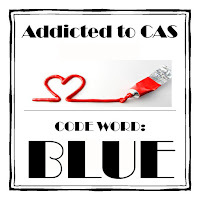 Addicted to CAS has the challenge of Blue, so this for that too! Fabulous card, I am sure it will bring a smile to your friend. Congrats on your Guest Design spot - I'm never surprised when I see you winning challenges as your cards are always amazing. This will no doubt bring a smile to your friend x Love the colours, the stamp and the splat just finishes it off perfectly. Perfect Chrissy - I'm sure it will bring a smile to your friend's face..........it did to mine! Too stinkin' cute!! Thanks for being our guest! Such a cute card, Chrissie! I love how you played with our code word 'blue'! Thanks so much for playing along with us this week at Addicted to CAS! 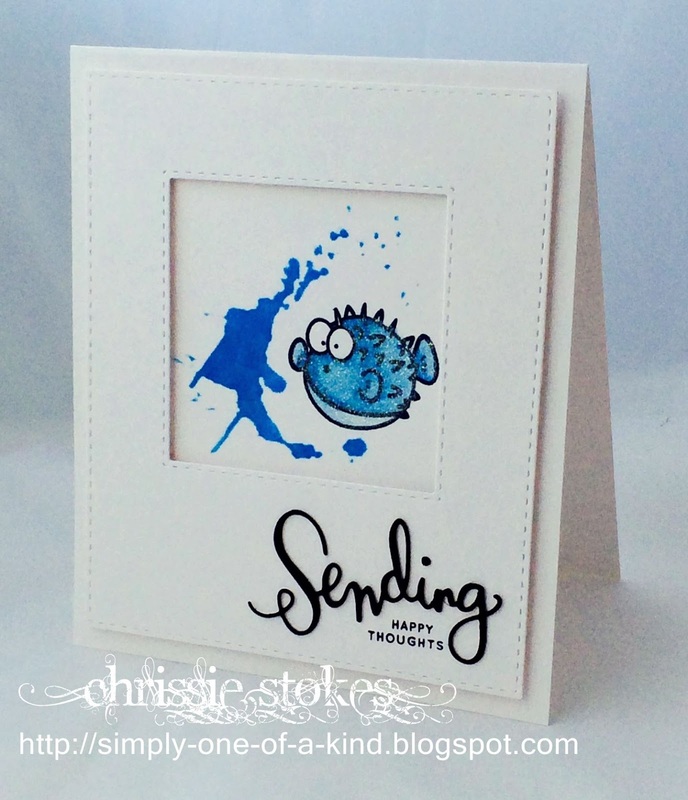 I'm sure this cute card cheered up your friend, Chrissie!!!! Love that little guy and the wave!!!! Congrats on the GD spot!!! !